This must be true love. 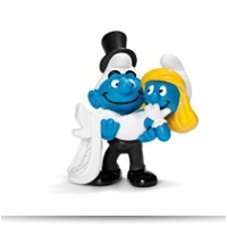 Sweet on her, the groom smurf carries his Smurfette. 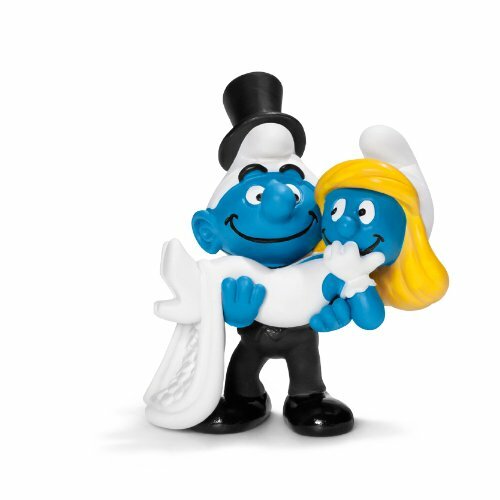 Together, they look towards a wonderful, blue future. Dimensions: Height: 2.6" Length: 1.8" Depth: 2.2"
Package Dim. : Height: 1.77" Length: 2.56" Width: 2.17"